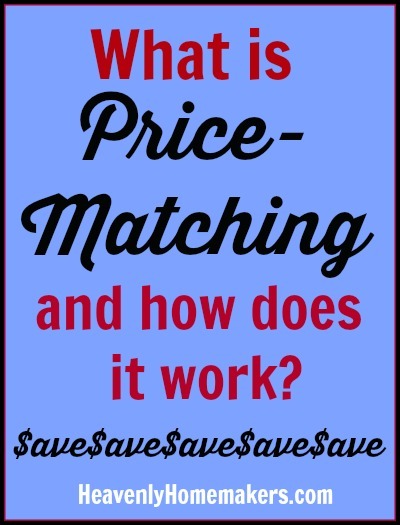 I love price matching and have done it often. One point to consider, some Wal-Marts are a little pickier than others. They may ask to see the actual ad/price. Sometimes it varies between checkers! I learned which checkers were good with just taking my word for it and which would want to see the ad. I always made sure to have the stack of ads with me, and sometimes just having them in my hand reassured the checker that I had proof with me and they didn’t ask to see them. Get to know your store and the checkers in it. Although it’s not required at WalMart, I found it easier to have a copy of the competitor’s ad with me. I tried price matching once at Target. I had to pay the ticketed price at check out and then get a refund at Customer Service. That was just too cumbersome for me. I don’t know if Target still works that way, if it got easier, or if they no longer price match. My Target requires you to price match at the service counter and not at the register. It adds a second stop to your shopping trip but they will honor it. However, they won’t match produce prices unless they have the same exact brand. Hope this helps. Don’t forget to sign up for Walmart Savings Catcher! You scan your receipt and they automatically look for cheaper prices and give you the difference in a gift card. Savings Catcher is great. I’ve gotten about $175.00 back in the 5 months that I’ve been using it. I have $30 in my savings catcher right now. Free money! If that’s not your cup of tea, I used to cut out the comp ads like coupons and show them to the checker. That was easier than holding onto the whole ad in my purse. My Walmart requires to see the ad. I second the Savings Catcher ap if you have a smart phone. My local Target will price match. The catch is you have to do it at the service desk not at the register. They also will not match produce prices unless they offer the exact brand in the competitor’s ad. For example, if you see Dole strawberries advertised Target will only price match if they have Dole strawberries. Each store will likely have different protocols but it is a good idea. I didn’t know that Target price matched! I was just in there last week and was wondering if it did but was too lazy to ask! Interesting, our local Walmart will not price price match Aldi’s prices any more supposedly. I wonder if I should ask customer service if that’s true or not. It’s hard when one cashier tells you something and another one something else. Anyone else heard this before about their Walmart not price matching Aldi? 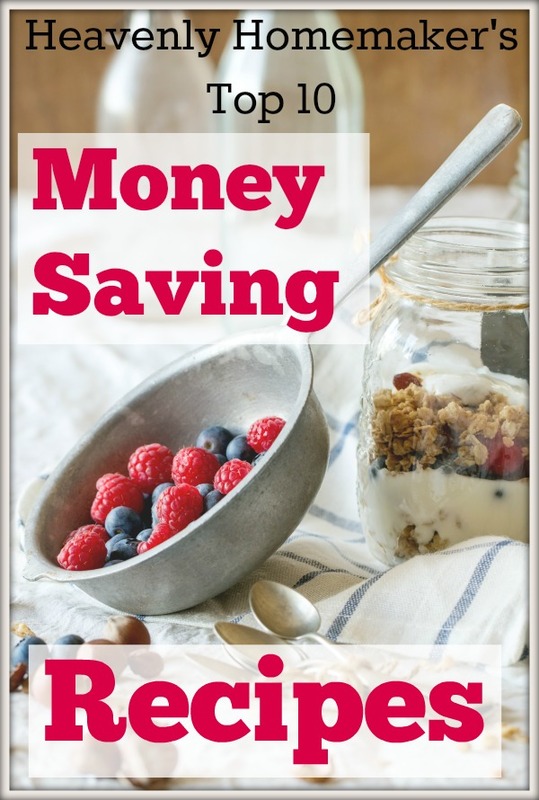 What is savings catcher and how do you sign up for it? If you have a smartphone, download the Walmart app. The savings catcher is on the app and will allow you to scan your Walmart receipts after you get home, and will automatically give you the best deals around town without ANY price matching work! Yes to the savings catcher! And up until this month any money that you saved because an item was lower at another store was doubled if you transferred it to the free bluebird cards at walmart. They are like a credit card but you have to “load” money on them. So for instance, if the savings catcher said I got back $3.50 because it caught lower prices at other stores, I can automatically transfer it to my bluebird card and it gave me $7. I never have to talk to the cashier, or have them change prices, the savings catcher app does it for me. Since I posted this the Walmart policy has changed. Savings catcher will no longer apply to produce! This was the main area I received the “cash back”. Although it will still be easy enough to scan my receipt, I will now have to bring in the flyers from competitors to get the price match on produce, fish, and some other items that make up the bulk of my shopping. It is very disappointing they chose to remove produce from savings catcher. I have done price matching with Walmart but don’t be so quick to not to discount grocery stores. I know that my local Hy-vee price matches with local grocery stores including Walmart. Because of their willingness to price match my Hyvee gets more of my business than the local Walmart. You just have to ask about it since one Hyvee will while the one across town does not. My local W-M used to be REALLY great about letting people ad match from stores that were several miles away without having to show the ad. But, alas, people started misuing it and lying about things that weren’t on sale, so they stopped. We can now only ad match with stores within 15 miles. In the town I live in, that doesn’t give us much opportunity to save a lot of money, but every little bit helps! :) The savings catcher app is nice; it has given me money back from stores that my store won’t let me ad match from if I try to. With everything related to Walmart, YMMV. Our Walmart does price matching, but I have always been asked for the printed ad to verify. I don’t do it often, the cashier’s and the customers waiting behind me always seem to get annoyed. Since I would be doing it mainly on produce as you do, Aldi is just easier and more accessible for me. I started using the Savings Catcher App a few months back. I have almost $50 that is sitting in my account. But, if you sign up for a prepaid American Express Bluebird card, you can then transfer your savings to the card and use it in Walmart towards future purchases. I will transfer to my Bluebird card to double it, yay for free money! But, from what I understand, the doubling Bluebird promotion ends next week. So, after the transfer next week, the card won’t be used again. I only signed up to use it with the Savings App to double my money. Also, I was very disappointed to get an email alert from Walmart last week saying that they will be decreasing how many competitors they price match with, and also reducing the areas they will price match. So, in my area, I went from average of 107 competitors to price match with to only 50. And they savings catcher will not price match on produce, bakery, or deli sales any longer. Since produce is a HUGE area I shop in, it just won’t be worth my using it after I transfer my money. It feels like a bait and switch to me a little bit. Like Walmart introduced this app, it started being used a lot and they realized this, then wanted to pull back the reigns. Just thought I would give others the heads up about the changes with the Savings Catcher App. Laura, thank you so much for reminding me about Walmart’s price matching policy. I used to do that years ago, and for some reason I stopped. 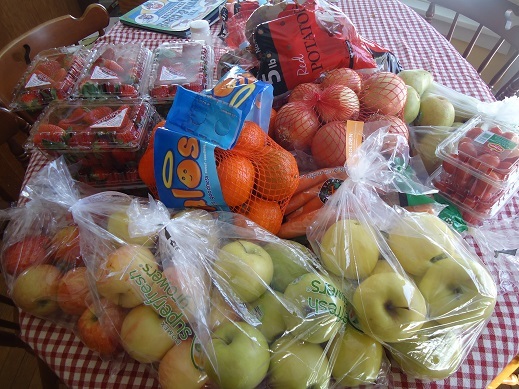 :( I went to pick up a few items of produce yesterday and paid $15 instead of $25 by price matching. Yay! I’ve done their savings catcher for several months now, and I’m also disappointed about all the reductions they’ve made in what they will compare. So are you buying organic produce or when you do this you can’t compare non-organic prices to organic? If possible I buy organic produce, but it has to be an exact match with a low price from another store of specifically organic produce. I can’t use the price for another store’s conventional produce to get organic produce from Walmart. I love it when I find good organic prices to match!